In today’s readings we’re reminded that there’s real love and other ideas of love that pale in comparison. The best measure of love is how we treat others, including God. In today’s First Reading the Lord reminds us not the mistreat the disadvantaged or we’ll soon be one of them. Woe to the Israelite who forgot that he was once a foreigner abused and mistreated in Egypt and decided to treat a foreigner in the Promised Land in the same way. Widows and orphans were especially weak and helpless in the times of the Old Testament. Mistreating them was equivalent to kicking someone when they were down. Making a living was so precarious that charging interest in a loan was a sin called usury: people literally had no money to spare, and not many had a surplus of possessions to loan either. In today’s Second Reading St. Paul reminds the Thessalonians that he imitated the Lord and taught them to do the same. They were such good disciples that they became a model of belief for the entire region. Paul starts some his letters chiding his listeners and pointing out their flaws in imitating the Lord and sharing his word. He not only gives them an A+, but tells them their listeners gave them an A+ too. In today’s Gospel Our Lord reminds the Pharisees, and us, that if we truly want to understand the ways and desires of God we need to see things through the lens of love. Love for God and love for neighbor are intimately linked, which is why extremists of any religion who claim to harm their neighbor in the name of God are about as far from the truth as can be imagined. Some people try to project themselves on God, and paint him as aloof, distant, cruel, or self-absorbed. Others in the face of suffering and evil question whether God loves us at all, or why he would allow bad things to happen. Let’s try to see things through the lens of charity today in order to grow in love for God and love for others. That means caring about God and about others. Spending time with God and with others. Helping God and others in every human way possible. Always wanting what’s best for God and for others. Readings: Exodus 22:20–26; Psalm 18:2–4, 47, 51; 1 Thessalonians 1:5c–10; Matthew 22:34–40. Our Lord had a more important mission for Simon than political agitation; in fact, Our Lord probably saved him from a fruitless death. The Zealots were founded in 6 A.D., during Jesus’ childhood, to resist the Roman occupation of Palestine, and were crushed by the Romans in the same year. That didn’t eliminate them; their spirit and sentiment continued during Jesus’ earthly mission and well into the time of Simon’s call to be an apostle. After Jesus’ death they rose up again and participated actively in the Jewish War that resulted in the destruction of the Temple and the fall of Jerusalem (66-70 A.D.), and then their stronghold in Masada was captured in 74 A.D. Being an apostle is what tells us the most about Simon. He could have been a political revolutionary who ultimately failed, but instead he became an ardent preacher of the Gospel in Egypt and Mesopotamia. The feast we celebrate in a few days commemorates his martyrdom, along with Jude, in Persia (although there is an Eastern tradition that says he died peacefully in Edessa). It’s ironic that St. Jude, who is also considered the patron saint of lost causes, teamed up with Simon, who dodged the bullet regarding a lost cause with the Zealots. He asked Our Lord a question in John’s account of the Last Supper (John 14:22), and the Epistle of Jude is attributed to him (although Biblical scholars debate the point). It is a short read, but couched in a lot of Semitic and biblical images and allusions. The central message of Jude is to put believers on guard against those who had infiltrated (my expression, not his), the community of the faithful to subtly corrupt the faith for their own interests. Anyone who charts a course (and I’m not referring to anything involving GPS; I’m talking about printed maps, compasses, pencils, protractors, and math) knows that if they miscalculate even slightly at the beginning, they’ll end up way off course. Imagine the fate of St. Simon if Our Lord hadn’t put him back on course, turning him from the political to the apostolic. In our own lives we all suffer the temptation at one point or another of questioning some detail of Church life or teaching, of changing course slightly to what is more agreeable to us, but even the smallest deviation can lead to a dramatic change that leads us far away from our true identity as Christians. Let’s do an examination of conscience this week to see if we need some course corrections. Don’t worry if you find out you are way off course; after all, St. Jude is the patron saint of lost causes. It’s never too late to get back on course. In today’s readings Our Lord is encouraging us to reflect a little more deeply on what we owe the world – “Caesar’s” and what we owe God. One doesn’t exclude the other, nor should it, but they are not on the same level. The prophecy of Isaiah today is addressed to the Israelites in exile after Babylon had conquered Jerusalem and the Temple. As they hear God’s words through the prophet, they remember another prophecy they received, through Jeremiah, a prophecy they didn’t believe. They’d put their faith in the Temple, since it was God’s house, and they didn’t think the Babylonians would conquer Jerusalem, because the Temple and they as a People were founded by God. However, through the prophets God had warned them that they had stopped giving God his due, which led to disaster, exile, and the destruction of the Temple they’d relied on. Cyrus was the new king of Persia, and was defeating the Babylonians who had taken the Israelites into exile. God told the Israelites that he was using Cyrus, even though Cyrus didn’t realize it, to send them back to Israel and to rebuild the Temple. Cyrus later did exactly that. The Israelites had learned the lesson of the need to give God his due. In today’s Gospel the Pharisees and Herodians are trying to trap Jesus in something they considered a conflict of interest between what was due to God, and what was due to Caesar. For the Pharisees, paying taxes to Caesar meant saying Caesar was a greater ruler over Israel than God, therefore greater than God. The Herodians didn’t see that as a problem, because they didn’t see paying the census tax as acknowledging anything divine about Caesar. They saw no way out of the situation, so they could trap Jesus in whatever position he took. If he sided with the Pharisees (no tax), he was against the Romans. If he sided with the Herodians (pay the tax), he was a traitor to Israel. So Christ asks to see the coin, and tells them to clue in that God and Caesar are not on the same level. They were putting Caesar on the same level as God just because Caesar minted a coin saying so. Caesar minted his coins and set up his taxes and temples. By putting his image on the coin, he was saying, “Look what I’ve accomplished and what you owe me.” God permitted him to accumulate all this, because he knew that however Caesar used his gifts, God could use that ultimately for good. If Caesar wanted his coins and recognition, he could have them. 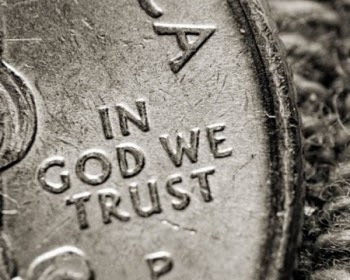 Caesar may have minted coins and set up taxes and temples, but God minted Caesar, and minted us: just like those coins that bore Caesar’s image, we bear the image of God, and we owe him everything because he has literally given us everything. God didn’t just construct a civilization or a set of tax laws: he created everything seen and unseen, as we pray each Sunday in the Creed. Caesar needed armies and miners and minters to produce his coins and make them worth something; God created everything out of nothing, and unlike Caesar, God expects nothing in return for all he has given us. Let’s reject efforts to mint the truth. God doesn’t play politics: he is the lord of life and history. To consider him a political player is simply beneath him. The Pharisees and Herodians were trying to trap him into expressing a political opinion on paying a census tax to Caesar, which some saw as sacrilegious and others saw as their civic duty. To be fair, in Our Lord’s time on earth the lines between civic and religious duty were blurred. By giving to Caesar what is his and to God what is God’s, Jesus is reminding us that each of those two things are important on their own level, but they are not on the same level. The real danger comes when civil authority tries to go beyond minting coins and thinks it can mint the truth. Declaring the state as all-knowing, just as imposing one expression of religion as the definitive one, ignoring the freedom to believe as you choose, is an attempt to mint the truth, and it is trying to give to Caesar what is really God’s. God is the source of all truth, and he has woven the truth into his creation so that all men of good will can find it and follow it. Sadly there are still many attempts today to mint the truth: religious fundamentalism imposed by force, attempts to redefine basic natural institutions, such as marriage, etc. Let’s ask for the wisdom and the courage to always see what is due to God, what is due to Caesar, and to fulfill our true obligations to both. Readings: Isaiah 45:1, 4–6; Psalm 96:1, 3–5, 7–10; 1 Thessalonians 1:1–5b; Matthew 22:15–21. Today’s readings remind us that Heaven awaits us as a party, not a chore. Everybody has to prepare for the party if they don’t want to miss out on the fun. In today’s First Reading Isaiah describes our future as the ultimate party where shadows and tears are banished and there’s only room for celebration. Everyone, “all peoples,” are invited to this celebration. No expense is spared on the food and the wine. Everything that could sour the party is not just put on hold; it is banished forever. It’s not just a moment to forget worries, but to leave them and the tears they cause behind forever more. The Lord is the life of the party on a deeper level than we could possibly imagine. In today’s Second Reading St. Paul reminds us that moments of famine help us appreciate even more the moments of feast. If you want just one list of all the ups and downs of St. Paul’s missions, just read 2 Corinthians 11:21–33: prisons, beatings, shipwrecks, “in toil and hardship, through many a sleepless night, in hunger and thirst, often without food, in cold and exposure.” The Philippians were worried about his hardship, but St. Paul responds that he can live in feast or famine because it is the Lord who strengthens him. There are a few lines omitted in this dialogue, where St. Paul recalls how the Philippians supported him materially in his missionary endeavors, even at times when no other church did. Paul assures them that the Lord will provide for them whatever they need as well. In today’s Gospel the wedding feast reminds us of Heaven, but also that although everyone is invited to the party, some in the end will not be found worthy to participate in it, and some won’t want to participate in it at all. Some had already been invited to the feast, and now servants were sent to tell them it was ready. Obviously these invitees had a closer relationship with the king: they were invited to come, and didn’t feel obliged to come. The invitees ask to be excused, but really just gave excuses not to come: they’d known when the great dinner would be held and had made other plans. Some didn’t even make excuses and just killed the messengers. They either didn’t want to go or were simply indifferent about going: that showed what they thought of their king, both as their ruler and as their friend. Something or someone else came first. Abandoned by his friends, the king invited other members of his kingdom, but not on the basis of friendship, just on the basis of a benevolence a king owes his people. In the end he also invites his subjects who are complete strangers to him, perhaps people not even a part of his kingdom at all, “good and bad.” They benefit from the great dinner, but they cannot take the place of those the king wanted to partake of it, his invitees, those he wanted to acknowledge as his friends. If this parable speaks to us of Heaven it’s also a reminder that God is merciful and good, but in the end we have to do our part, even a little, if we want to be saved. Salvation is not automatic. The man with no wedding garment had no answer for the king’s question: there was no excuse he could offer, and if the king was displeased, it means something was expected of that man that he didn’t do. That wedding garment symbolizes having done something to partake and appreciate the marriage feast. This poor man shows no signs of celebration whatsoever. Maybe he represents that Christian who goes through the motions all their life, but never really seeks to help himself or others to get to Heaven. We have to give Our Lord something to work with. The man with no wedding garment managed to get to the banquet hall, but he didn’t go far enough to stay. When you talk to some people about Heaven they just roll their eyes. When you talk to some believers about Heaven, their attitude is more, “we’ll cross that bridge when we come to it.” Ask anyone on Friday afternoon how he feels about the great party coming up that weekend. He can’t wait. He is humming and tapping his feet everywhere he goes, thinking about the celebration to come. Visualize the ultimate party this weekend: not a kegger, but Heaven, celebrating in eternity with those you love. If we stop and truly contemplate Heaven how can it not bring a smile to our face and put us in a “partying” mood? Are you going to pass up the greatest party of all time? Readings: Isaiah 25:6–10a; Psalm 23:1–6; Philippians 4:12–14, 19–20; Matthew 22:1–14. Today’s readings remind us that the more we hoard things for ourselves, to more miserable we make ourselves and others. In today’s First Reading Isaiah describes the misuse and abuse of the people of Israel by their leaders as being like vines ripe for cultivation and left unattended. Vineyards evoke images of careful cultivation by skilled vintners with the expectation of fine vintages of wine. The Lord had prepared Israel like a fine vineyard, and Israel’s leaders like vintners with everything at their disposal to be fruitful and successful. What the Lord received instead were wild grapes. 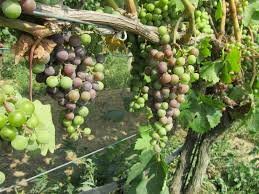 Grapes with no cultivation, left to grow or die by chance, depending on weather and other conditions, were not very good grapes. If anything good grew at all it was not thanks to the vintners, and what grew in such an unfavorable situation was not of much worth. The leaders of Israel were expected to cultivate justice and peace in their subjects, and they didn’t. In today’s Second Reading St. Paul teaches that the peace of God and the shelter of our hearts and minds in Christ depend on our attitude and the things we value as important. Envy and greed can lead to inaction, but anxiety can have the same effect. Paul counsels us in moments of anxiety to ask God for what we need, but in a spirit of gratitude for what the Lord has already done. That’s the best remedy to a warped sense of entitlement when things don’t go as we’d like. Our Lord has promised us that the Heavenly Father knows what we need before we even ask (see Matthew 6:8), so there is no need to worry. If we occupy ourselves with truth, honor, justice, purity, loveliness, graciousness, and excellence we’ll not only experience the peace of God, but help to spread it. In today’s Gospel Our Lord invites us to imagine a group of men given the opportunity of a lifetime, both professionally and personally: not only a good place to live, but a great way to make a living. Imagine a business at a good location, with an abundant clientele, a great lease, and the job of making a lot of people happy (the vineyard is for producing wine, throughout Scripture, symbolizes joy). If that weren’t enough, the men running the business also have a wonderful place to live and a great landlord. Any outside observer would say that professionally and personally the owner has been very good to his tenants, even going beyond what a tenant would expect or deserve. All the owner asks in return is a share of the joy that he hoped the tenants would produce. This is where the mystery of sin enters: mystery in the sense of sin, ultimately, following no logic but its own, a twisted logic that bends everything around it and denies greater truths eventually at its own expense. The tenants start beating up the people coming to collect the owner’s fair share and leaving him empty handed. There’s no remorse: gradually they start killing them too. The owner shows a kindness that the tenants, to any outside observer, do not deserve. He keeps giving them opportunities until one day he gives them the greatest and most definitive opportunity: he sends the heir himself, a reminder that he is the owner and they are the tenants, and an extension of his very self. In their twisted logic they convince themselves that by eliminating the heir any trace of ownership will die with the owner, and he’ll also stop bothering them (the son was the last one he could send, as the parable narrates). The chief priests, scribes, and elders pronounce judgment on this “theoretical” case and their own words condemn what they themselves are doing. Our Lord is the cornerstone. You can’t even speak of having a structure, having a building, without a cornerstone–it joins two walls together. Many “tenants” who’ve received so much kindness, personally and professionally, from God want to monopolize the joy they could give to God and others, and as a result impoverish any joy they could really give. They deny something fundamental, something structural: that the owner and his heir are what make their life possible, whether they acknowledge it or not, and eventually second chances (and third, and fourth, etc.) are exhausted and mercy has to give way to justice. The parable of the wicked tenants in today’s Gospel is a way of teaching the Pharisees that they had fallen into a warped sense of entitlement over something that didn’t belong to them: the People of God. So when the Son comes on behalf of the true “owner” of the People of God they’re going to reject him and kill him thinking that somehow everything will then return to normal. Our Lord today through the parable is prophesying the outcome of their covetousness and envy: everything they thought was theirs will be taken away and given to those who’ll be worthy stewards of God’s gifts. Paul reminded us today about how we can pay our Lord his due: truth, honor, justice, purity, loveliness, graciousness, and excellence. Those things don’t just bring peace and joy into our lives, but also in those we know and love. Let’s contemplate today the kindness of God in our lives and ask him to help us to see how we can work with him to bring joy to him, to others, and to ourselves. Readings: Isaiah 5:1–7; Psalm 80:9, 12–16, 19–20; Philippians 4:6–9; Matthew 21:33–43.